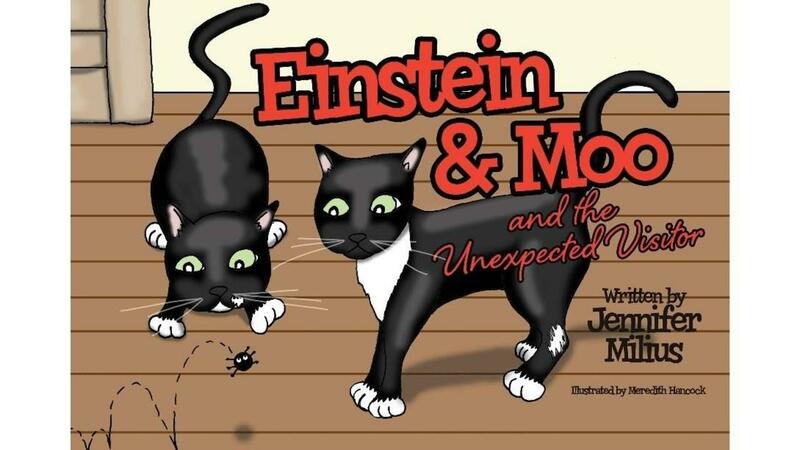 Einstein & Moo and the Unexpected Visitor is the sixth book in the series and is about a perfect day when something different inside the house catches Einstein and Moo’s attention. Although each kitty has their own way of investigating, they are hopeful they found a friend. Read on to find out what Einstein and Moo discover….